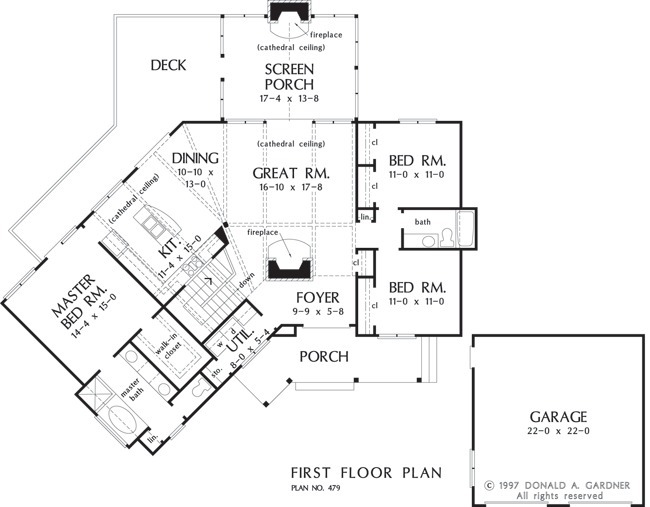 With its contemporary exterior and open interior, this plan creates an exciting home designed for sloping lots. Cathedral ceilings grace the great room, dining room, kitchen, and screened porch, with exposed wood beams adding rustic charm to the spacious great room. Outdoor living and entertaining is easy with a porch in front and an expansive deck and screened-in-porch with fireplace in back. Two bedrooms share a bath on one side of the house, while on the other, the master suite boasts rear deck access, a generous walk-in closet, and a private bath with dual vanities, separate tub and shower, and enclosed toilet. 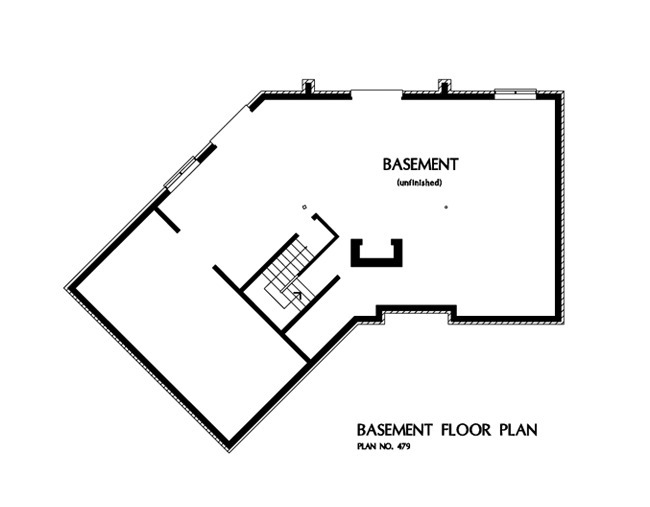 1st Floor: 1680 Sq. Ft.
Porch - Screened: 263 Sq. Ft.
House Dimensions: 62' 8" x 59' 10"
Great Room: 16' 10" x 17' 8"
Master Bedroom: 14' 4" x 15' 0"
Foyer : 9' 9" x 5' 8" x 9' 0"
Dining Room (Cathedral): 10' 10" x 13' 0" x 18' 7"
Great Room (Cathedral): 16' 10" x 17' 8" x 18' 7"
Kitchen (Cathedral): 11' 4" x 15' 0" x 18' 7"
Utility Room : 8' 0" x 5' 4" x 9' 0"
Garage : 22' 0" x 22' 0" x 0' 0"
Master Bedroom : 14' 4" x 15' 0" x 9' 0"
Bedroom #3 : 11' 0" x 11' 0" x 9' 0"
Porch - Front : 24' 11" x 6' 0" x 0' 0"
Porch - Screen (Cathedral): 17' 4" x 13' 8" x 15' 8"
Deck / Patio : 14' 0" x 14' 6" x 0' 0"